Many Indianapolis car owners prefer ASG Automotive for Subaru repair. Period. 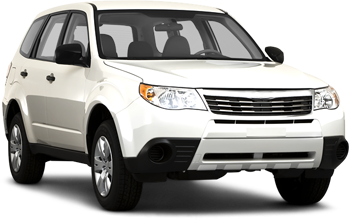 Our auto mechanics are experienced and educated in servicing and repairing all makes and models of Subaru vehicles. Whether the head gaskets need repairing or a headlight is out, our team can fix most malfunctions, big or small. Since we opened our doors, we have offered honest and accurate services to Indianapolis car owners. Over the years, we are proud to have created an incredible reputation for reliable and quality auto repair. Staying on top of Subaru maintenance and repair is something to take seriously. Our ASE-Certified and Bosch-Certified auto mechanics at ASG Automotive will identify the issue and thoroughly give your Subaru a proper inspection from front to back and from top to bottom! Our team understands that our customers’ days can be hectic, which is why we offer free shuttle service and discounted rental cars from Enterprise. At ASG Automotive, you can have a win-win situation: an uninterrupted schedule and a Subaru in safe condition. We take great pride in the rave reviews that we continue to receive from new and long-term clients. Here’s what Bill Y. had to say about his Subaru repair at ASG Automotive. Nowadays, it may seem as if you have to make a choice between personable customer service and excellent auto repair. At ASG Automotive, you won’t have to compromise on convenience, transparent communication, or quality auto service. With us, you can have it all. To schedule an appointment for service for Subaru repair, call us at (317) 826-2906. We are located at 5841 Thunderbird Road, Suite 3 in Indianapolis, IN 46236.